This awesome guest post was written by Aamar Khwaja, Inventor of modgarden. Aamar is a health advocate and on a mission to see everyone eat healthily! When you head to the supermarket this week, take a good look at the packaging. Today, most corporations hire lawyers to carefully craft words and sentences that give the illusion of a product being natural, pure, wholesome, or healthy. Because consumers are becoming more and more concerned about eating healthy, companies are using the simple power of language to make health claims and entice customers to buy the product. Many want you to believe that their product is healthier than other options in the grocery aisle. However, buyer beware—many companies use deceptive labeling and legal loopholes in order to conceal the unhealthy nature of their product. Unfortunately, most food labels typically don’t mean much. Terms such as “pure” that are commonly found in fruit juices don’t mean that you are solely drinking juice—rather, the juices can be fixed up with flavor packets for better aroma and taste. So, let’s talk about the different claims that food packaging makes—and what is actually going on! If you’re trying to be healthy, you may find yourself buying products that are fortified. This means that the products are marketed as having high vitamin or mineral content and thus are a great option for maintaining your health. Certainly it seems that having additional vitamins and minerals in your foods can’t be terrible—however, the issue is that these extra nutrients appearing in your foods are synthetic vitamins. These synthetic vitamins aren’t particularly beneficial for your health and can actually create system imbalances in your body if consumed over long periods of time. So, even though it might seem like a positive addition, it definitely isn’t worth it. It’s best to eat high-quality foods and whole food based supplements. So, so many processed foods bear the “all-natural” label—unfortunately, it means essentially nothing. This is because there is no standard definition of what the term “all-natural” is, therefore allowing corporate companies to make up their interpretation. 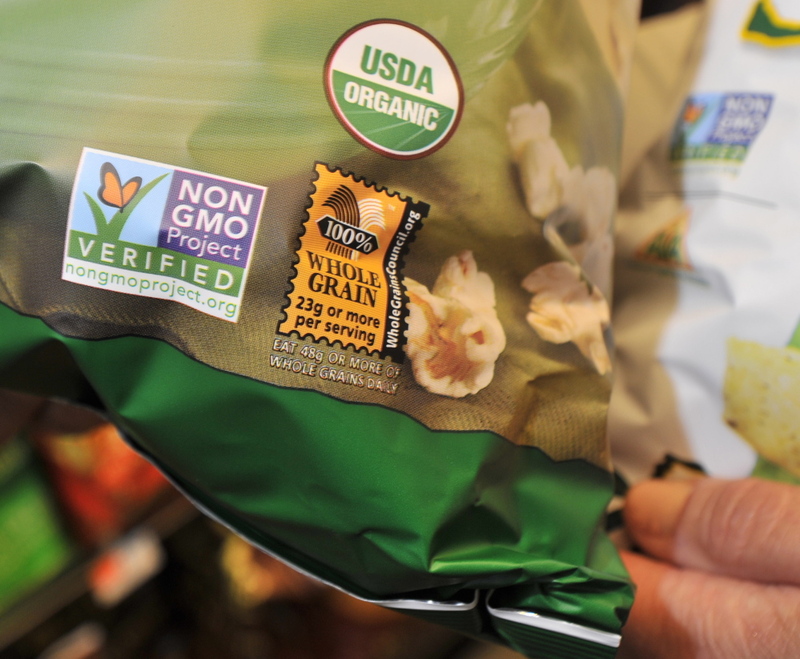 In the processed food categories, an “all-natural” product can be genetically modified, grown with pesticides, made with high-fructose corn syrup, and even additives, preservatives, and other artificial ingredients. The term “all-natural” is regulated with meat and poultry, however. Products that are labeled “all-natural” in this category may not contain artificial flavors, colors, or chemical preservations. Also, remember that many of these products contain a dough conditioner known as potassium bromate. This is common in commercial bakery products, flours, and some whole grain breads. It has been known to cause thyroid dysfunction. So, What Does the FDA Actually Do? In terms of checking labels, it’s important to understand what the FDA does to regulate the food industry. Although the FDA certainly does check food labels, they only verify that the “Nutrition Facts” panel is present on the packaging—but not if it is accurate. This means that labeling such as “0 trans fats” or “all-natural” is ignored regardless of truth. Because of this, it is estimated that one out of every ten food labels are inaccurate. Because the FDA is mostly no help in providing consumers with the information that they need to make an educated decision about their food, it is important that you take some time to educate yourself before heading to the grocery store. The easiest way to ensure that you know what you’re eating is to avoid packaged or processed foods, thus avoiding the issue of deceptive labeling. Try to eat as many whole foods as you can. Prepare your meals at home. Join a local CSA (community-supported agriculture) or start your own garden. Changing your mindset is a big part of changing your diet—choose whole foods like fresh, organic produce, organic meat, and organic eggs. Selecting locally-grown, organic foods can be a bit challenging, but here’s what you need to know—the only organic label out there that means anything is the USDA Certified Organic label. This is the best assurance of organic food quality available right now. Farmers that have been certified to put this label on their food have to meet very strict standards in order to achieve the certification. Simply put, if you want to eat healthy, it is very important to be an educated consumer. Take some more time to read some articles about safely grown food. Be a bit wary of claims on products in the grocery store. Try your best to eat organic whole foods whenever possible and cook your own meals. Stay healthy!